Recently my attention was drawn to how we deal with depression. Being British Pakistani myself, I have grown up to understand both cultures, Western and Eastern, and the distinct differences between them. Experts say symptoms of depression can be characterised by feeling down, loss of interest in activities, significant change in sleeping and/or eating patterns, increased agitation, and fatigue, feeling sad or hollow and in some cases, suicidal thoughts. 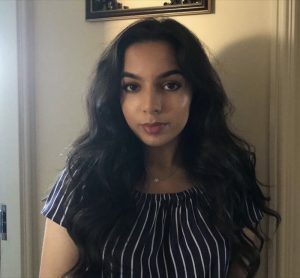 Depression is a predominant mental health worldwide issue, but does the South Asian community really understand depression? Depression has been looked down upon in our community. It’s not truly understood of how significant the impact can be on someone’s life, particularly people from an older generation, who see mental health as irrelevant perhaps, or a common response being “it’s all in your head”. It is important not to diagnose yourself or even someone else, but it is crucial that we are aware of the symptoms so that we can recognise the signs. Often among Asians, if we hear of someone with depression, their family is scrutinised or said to be far from their religion. There are even instances where due to one person’s mental health, a marriage within that family would be “shameful”. This noxious outlook must be eradicated. By speaking to other students, I have recognised that many do not speak or confide in their families. They are therefore suffering alone, the stigma which would be inflicted on them is enough to not speak out. I recently witnessed the impact of this stigma when a friend of mine experienced the over-bearing harshness of her family as she expressed her views on her mental health and how she may be suffering from depression. Fingers pointed to her not praying enough or over-over-thinking things in her own head. But as a 17-year-old student, with the pressures of education, parents marital issues, financial worries and the constant feeling of “hopelessness”, her problem was bigger than a simple “misunderstanding”. She told me how she had no one to turn to in her family. She did however often confide in me, telling me “I feel alone, and sometimes I don’t want to feel at all”. As her friend, this impacted me heavily and I felt I had to step in and urge her to speak to a school counsellor or her doctor. Soon after being diagnosed with depression, she was given the correct guidance that she so desperately needed. Her quality of life eventually improved. It angered me that as adolescents we cannot speak to our own families about our concerns, social desirabilities, peer-pressures and above all how we appear in the eyes of others from the same ethnic background as ourselves. Our culture is brutal towards those with poor mental health, due to this societal construct many individuals do not reach out for help. Almost 90 per cent of all individuals who have had mental health problems report they have suffered stigma and discrimination. There is no single cause of depression, and no single cure. It is vital that we become more open minded. Adolescents are heavily affected due to the immense work load and social standards they feel they must meet i.e. the influence of social media and body image. We look down upon the idea of therapists and it is often considered a taboo to consult one. Around 75% of young people with a mental health problem are not receiving treatment; it is not something that will go away overnight, but there are solutions, talk therapies such as cognitive behavioural therapy, mindfulness and interpersonal therapy are all recommended by the National Institute of Health and Care Excellence. As a Psychology student, I have become progressively interested to understand how the human mind functions, and how our behaviour can impact people around us. By changing our views on mental illnesses such as depression, we can destroy toxic societal attitude towards it, and begin to help those who suffer from the constant over shadowing they feel they cannot get rid of. If you have any concern about someone’s mental health urge them to seek advice from their GP.